Native America is based in Hauppauge, Long Island and the nearby Hauppauge Springs attracted its attention. 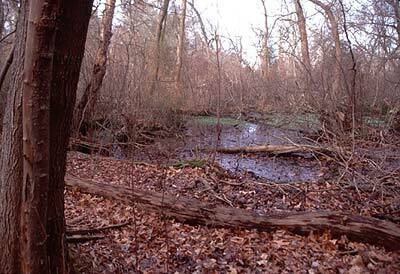 These freshwater springs are the headwaters of the scenic Nissequogue River. 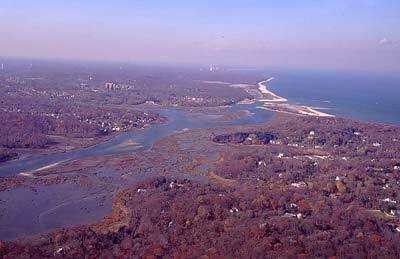 The Nissequogue is one of four rivers of Long Island and provides wildlife habitat for fish, waterfowl, mammals and wetland plant life. While the wetland portion of the Hauppauge Springs are technically protected under New York State law, the drier upland portions are not. Native America became involved in a preservation effort to help protect this surrounding undeveloped land as a buffer zone for wetlands. Should development occur on the land surrounding the springs, the waters from cesspools and the runoff from plant fertilizers will inevitably find their way through the soil, into the groundwater and into the freshwater ponds and streams of the Hauppauge Springs. While it is easy to understand that the wetlands of the Hauppauge Springs should be preserved for its own sake and for that of the Nissequogue River, we must also be careful to preserve the dry upland areas in its perimeter to prevent contaminants form spoiling the purity of its waters. The preservation efforts of the Hauppauge Springs began many years ago. Native America volunteered to carry the initiative further in 1999 when it met with Suffolk County officials and helped draft a proposal for preservation. Native America subsequently contacted the owners of the various parcels and they were agreeable to sell. Native America then organized the "Coalition to Preserve the Hauppauge Springs" which now has over twenty environmental and civic groups on its roster. 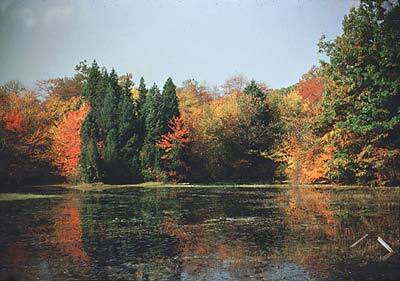 In February of 2000, the Suffolk County legislature voted, unanimously, to approve funding for the purchase of the Hauppauge Springs. 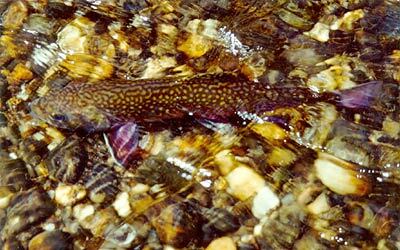 Within the cooler freshwater streams of Long Island swim the small, camouflaged brook trout. These inland fish grow to about a foot long, have an earthen color that blends with the tannin-stained streambeds and weigh a little over a pound. Brook trout are found in the upper reaches of the Carmens River and have recently been spotted in water surveys in the Hauppauge Springs. 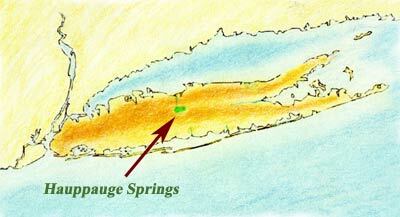 The freshwater from the Hauppauge Springs continues to flow up the Nissequogue and into Long Island Sound. Meanwhile, the Suffolk County Department of Real Estate had appraisals done on four privately owned parcels of the Hauppauge Springs. The landowners and members of the county discussed the county's offer. The negotiations are presently at a standstill. Native America is now bringing the preservation initiative to the state level. To help raise funds for the effort, a quilt was raffled at the Native America 2002 Holiday party. The response was overwhelming and another quilt is being sewn this year. 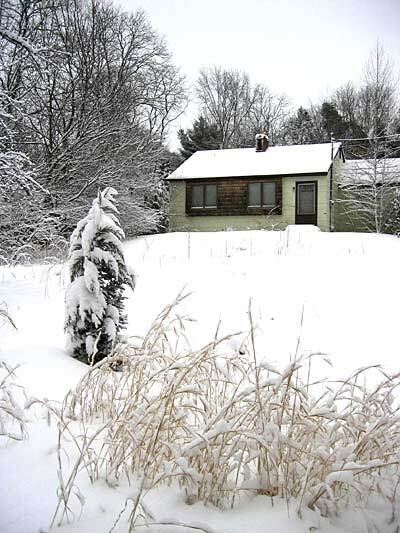 When the ground was still groaning under heavy cold in 1995, two acres of land in Hauppauge in the middle of Long Island, New York were put aside as a private preserve called Native America. 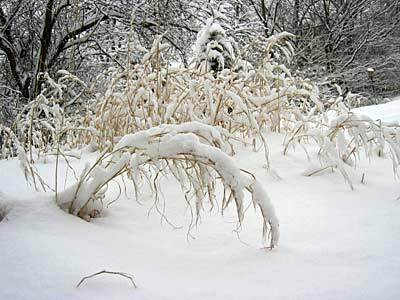 The term Native America was chosen because the purpose of the preserve was to remove the invasive plants and the ornamental plants and allow the local native plants to reclaim the landscape of these two acres of America. The preserve consisted of a small summer cottage that was built in 1945, a front lawn of planted Zoysia turf grass and a backyard field that was mowed regularly. There were some native trees around the border along with sparse native bushes, grasses and wildflowers that escaped traditional landscaping. In the last ten years, the Native America preserve has grown to twice its size. It has acquired an adjacent two acres of suburban land and now stands as four acres undergoing restoration. Nonnative Zoysia grass is a tough turfgrass that is good for a lawn appearance, but is basically impenetrable to native grasses and wildflowers. As the Zoysia grass is removed or "weeded out", native bunch grasses such as broomsedge are moving in to replace it. The method used here at the Native America preserve is to avoid introducing plants. That means, no "native plants" are bought from stores, catalogs or nurseries. The soil is simply made inviting to windblown seeds and those dropped by birds or squirrels. 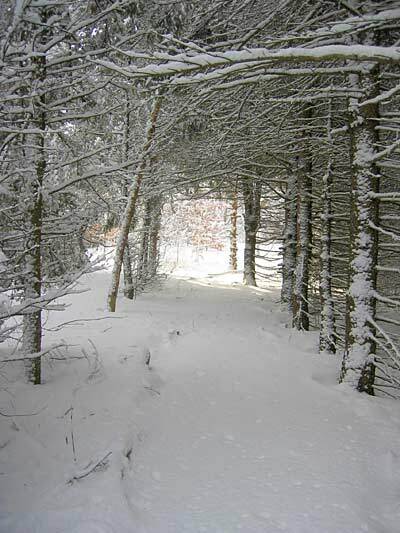 In the back portion of the property were many spruces that were planted as Christmas trees. These conifers have grown to heights of fifty feet. While many houses today boast high ceilings, not too many could accommodate these overgrown evergreens as disposable indoor holiday trees. They do provide good cover for wildlife, but are nonnative to Long Island and are being culled out, one at a time. As they are either removed or girdled and left to wither for the woodpeckers, native oak, hickory and maple are taking their place. The restoration is an ongoing process with many wildflower rewards appearing each year.